Metro Women’s Clinic (Queens, NY). 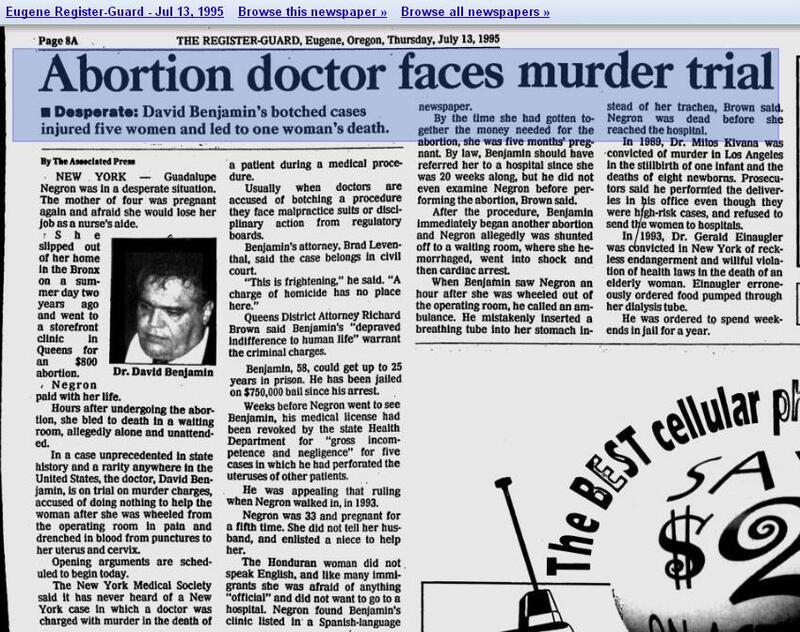 Abortionist David Benjamin was convicted of murder in the 1993 abortion death of Guadalupe Negron. 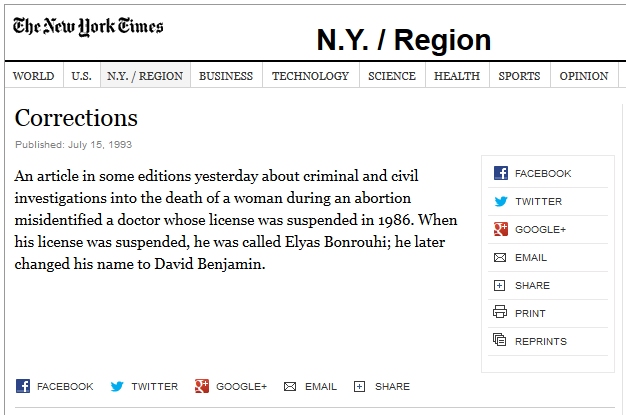 May 11, 1993: Decision and Order revoking David Benjamin's NY medical license. See pages 4, 57. Also includes Statement of Charges from 10-15-1992. See pages 59, 64. July 30, 1993: The NY Administrative Review Board sustains decision to revoke David Benjamin's medical license. See pages 7-8. 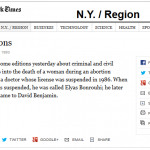 June 27, 2000: Judge Steven Kessel upholds 30-year restriction on Benjamin's medical license.